The marae at Unitec Institute of Technology blends traditional and modern styles. The gargoyles along the spouting are a contemporary expression. 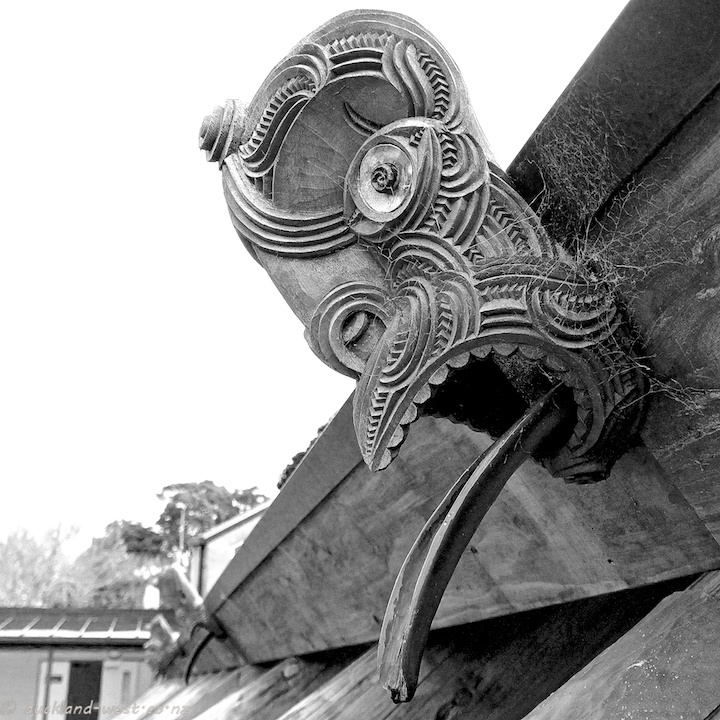 Master carver for the meeting house (Te Noho Kotahitanga, built 2003–2009): Dr Lyonel Grant.